"...captures the sense of bleak and haunting dread that is perfect for a film based on a story written by Poe... Poe fans will find this film alluring and intriguing as it lingers in their minds for nights to come." on DVD or DIGITAL VOD! The original Edgar Allan Poe story, "The Lighthouse." A young man awakens alone on a remote beach, marooned there by a violent storm. Above the the rocky crags, a lighthouse stands like a sentinel. Injured and suffering from amnesia, the man seeks the help of Walsh, the enigmatic lighthouse keeper. Walsh tells him they are stranded until the ferry arrives in two weeks, and insists they are the sole inhabitants of the peninsula. But the man is haunted by fleeting glimpses of a beautiful young woman, and plagued by visions of hideous phantoms reaching out from the depths. 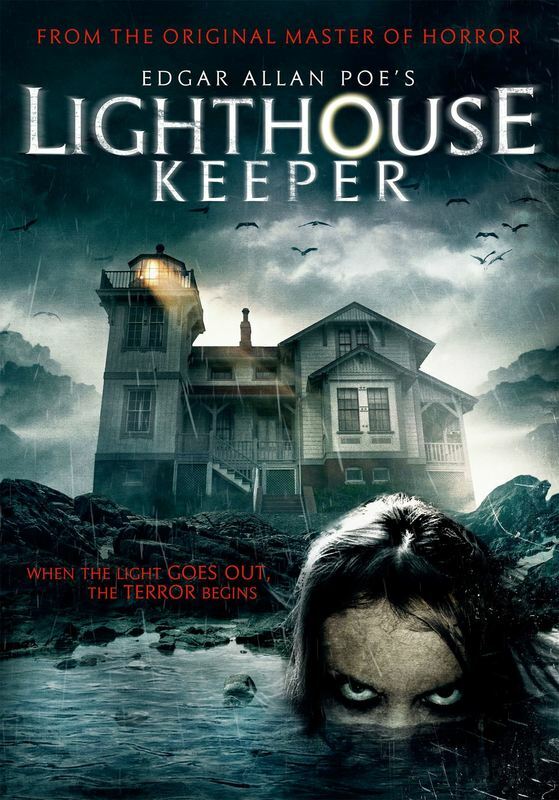 As this horror tale races towards a mind bending finale, the man must confront the grotesque denizens of the night, or heed the lighthouse keeper's cryptic warning to "Always keep a light burning!" INSPIRED BY THE STORY FROM THE ORIGINAL MASTER OF HORROR! Join Mailing List to Get Free Ebook, "The Lighthouse"